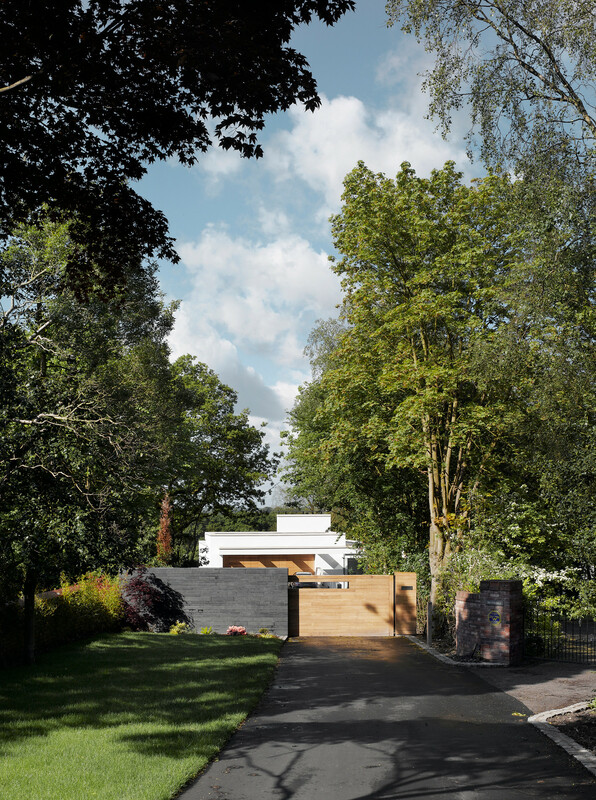 The dwelling is located within the conservation area of Halebarns, Manchester. 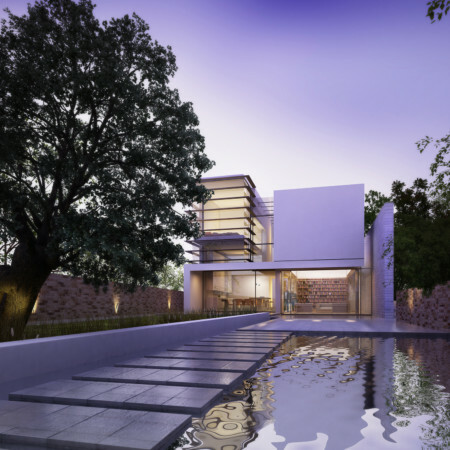 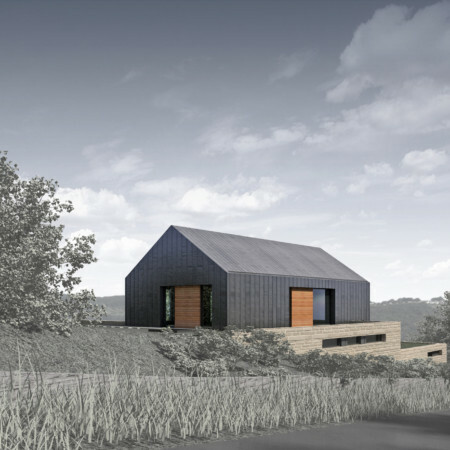 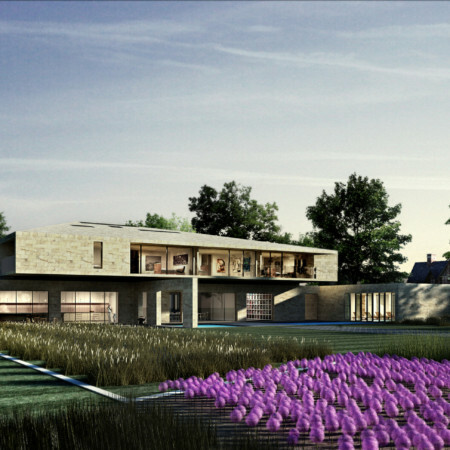 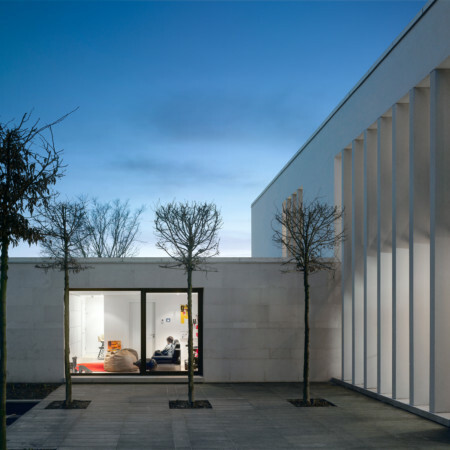 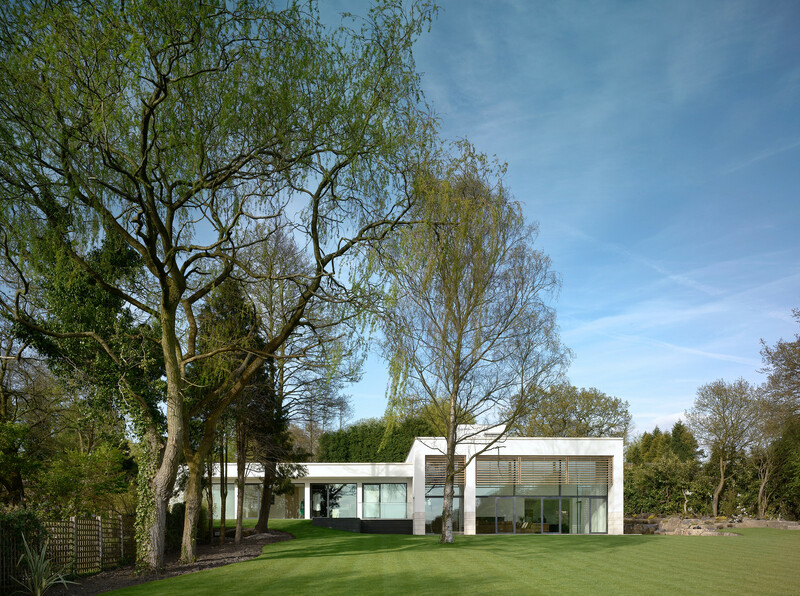 The form of the building is formed by two blocks, set at different levels, one of which incorporates a double height living space that takes advantage of the sites topography and provides views across the surrounding landscape via full height 5m glazing to the South elevation. 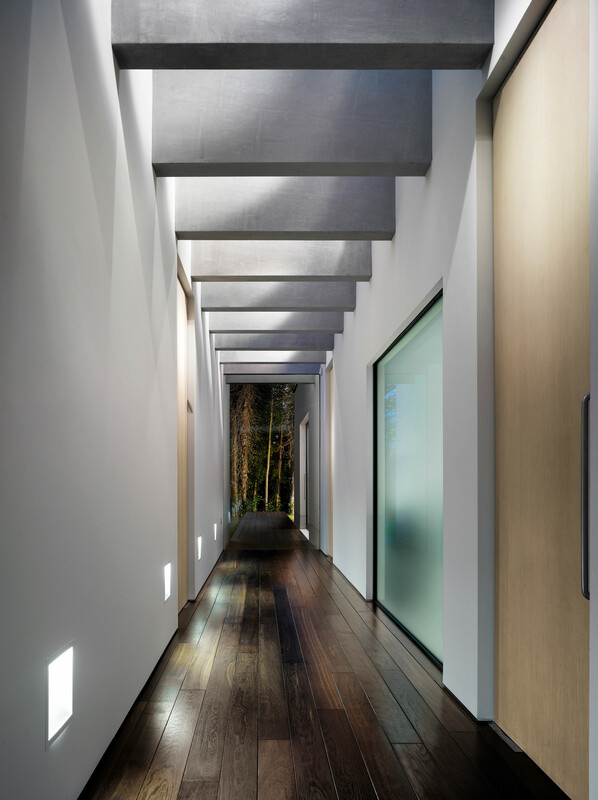 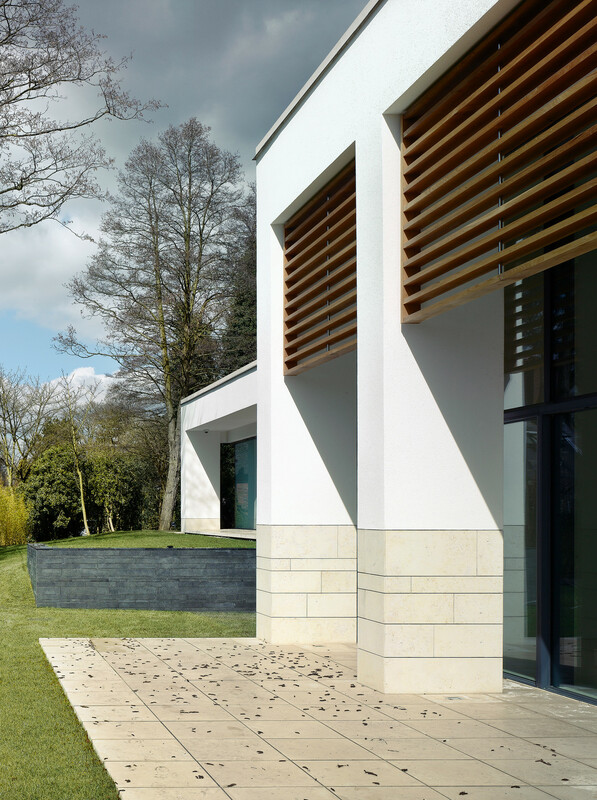 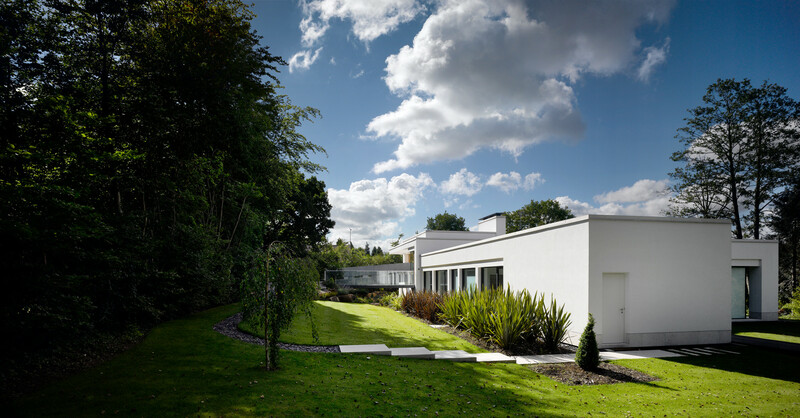 The building is accessed via two bridges, one concrete vehicle bridge, and a steel and glass pedestrian bridge onto the mezzanine floor that provides views down through the double height living space towards a single silver birch tree within the garden, and external landscaping beyond.